Burnout is a very real and draining experience for millions of people across the working population. Marked by increased irritability, lack of motivation, fatigue, and even insomnia, burnout can often present similarly to mental illnesses such as anxiety or depression. It affects you both mentally and physically. If left to linger, burnout can lead to a decrease in job performance, interpersonal relationship problems, and more. 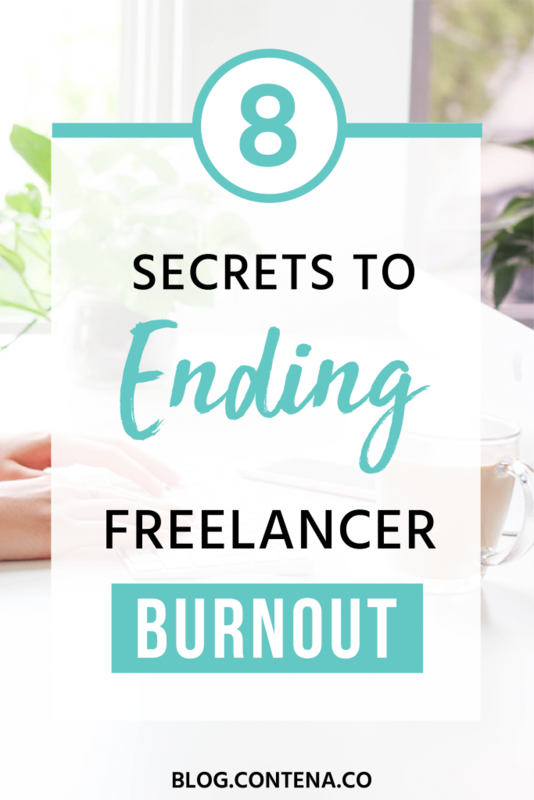 The first time I experienced burnout, I was five years into my career at a non-profit. 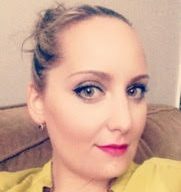 I eventually became so unhappy in my position that I took a chance and made the leap into freelance writing. Soon after, I found a way to take my freelance writing business full-time. Since I was doing something I loved, I was sure there was no way I’d experience those feelings of exhaustion, lack of interest, or general unhappiness again. Burnout is a type of job stress and can occur in any career field. It can happen to freelancers too (and it often does). If you find yourself feeling burnout, or are looking to avoid it altogether, try these tips for a happy and healthy work-life balance. As a new freelancer, it can be all too easy to want to roll up your sleeves and dive in. Eagerness to start earning can entice even the most seasoned freelancers into working longer than usual hours and taking on increased workloads. I get it; you’re excited to get the ball rolling. However, by putting in impossibly long work days, you’re more than likely doing yourself a disservice. Right off the bat, aim to set regular working hours whenever possible. You don’t have to pull a standard 9-5 if that doesn’t work for you, but having a definitive start and end to your workday is essential. Especially for those taking their freelancing biz full time, setting boundaries such as days off, vacations and holidays are a must. Being your own boss has a ton of perks, but you have to remember to take care of your number one employee: you. There will always be projects that you find yourself working on longer than you’ve planned or last-minute assignments too good to turn down, but try not to make that the norm. Having a well-thought-out schedule helps you not only work productively but can actively help avoid burnout. Find a workstyle that works for you. Once you settle on a schedule, aim for a workstyle that helps maximize both your time and productivity. It may take a little soul-searching to uncover your preferred work style, but it’s well worth understanding how you produce your best work. Are you more of an “organizer” or “adapter”? Do you find yourself enjoying work done in one sitting or rather in small batches? For me, I like to break down projects into sections and complete two or three sections per day. By working on individualized parts of the whole over a few days, I’m better able to see where changes need to be made or where I’ve gotten off topic. In the case of freelancing, your work style dictates not only how you work best but also how you communicate with your clients. Depending on the client, your run-of-the-mill communication can range from daily check-ins to a quick end-of-project email. While you should always try to meet your clients’ needs, be sure to consider your own as well. If you’re finding yourself spending more time on rewrites or edits than you’d like, consider more frequent communication with your clients to better understand their needs. Conversely, if you’re feeling micromanaged, address it with the client and aim for more scheduled check-ins. Simple misunderstandings about the focus and scope of your work can often lead to frustrations (and eventually burnout). It may seem self-explanatory but seriously, don’t take on more than you can realistically handle. The goal for many freelancers is to have a full client load. However, there is a difference between having a “full workload” and being “full-on overloaded.” Learning to turn down gigs when you’re booked up is vital to a healthy work experience. For one thing, making costly mistakes is more common when you’re overloaded. For another, you may find yourself rushing through projects just to get to the next one, leaving you handing in less-than-stellar work. Taking on more work than you can reasonably get done is a surefire way to burn out quickly. If you do find yourself overwhelmed, adopt some productivity skills that help you stay on top of your work and your sanity. My favorite tool for maxing out my productivity while still staying sane is to employ the Pomodoro technique. In a nutshell, the Pomodoro technique has you working for 25 minutes then taking a scheduled 5-minute break. Each work-break cycle is called a “Pomodoro.” After four cycles, you take a longer break, about 15-25 minutes. If you’re like the majority of freelancers, you work from home. (Cheers to my fellow working-in-pajama buddies!) Even with a dedicated workspace, being cooped up in your house all day can be inexplicably draining on your mood, productivity, and more. Despite the fact many freelancers do work collaboratively, working from home can still be an isolating experience. Thanks to the popularity of freelancing and entrepreneurship, coworking spaces are on the rise and are a great avenue to help break the home-working-blues. Utilizing these rented spaces are an excellent way to socialize throughout the day and avoid feeling burnt out. With new spaces popping up all over the place (some with really rad amenities), why not give them a look? Sometimes just having a change in your work environment is enough to reinvigorate your passion and get you back on track. If you’re content with working from home, be sure to take breaks now and then to leave your house. Consider taking a brisk walk once or twice to break up your day. If the weather doesn’t permit an outdoor stroll, drive over to your local coffee shop and try brainstorming over some java. Trust me; your sanity will thank you for taking a break from the same four walls every once in a while. Having a passion project or a hobby is another excellent way to break up your day and avoid the dreaded burnout. Hobbies allow you to switch your focus and may even help spark your creativity in ways you haven’t thought of. While many freelancers have work-in-progress novels or books as their passion projects, don’t underestimate how important it is to have a hobby that uses a different set of skills than your work does. By exploring other outlets (besides writing), you give yourself a much-needed break from the daily grind and can set yourself up to be more creative and productive in your daily work. First and foremost, work to a point so you can ditch any jobs you don’t enjoy. If you’re constantly working on assignments that you dread, it may be time to make a change. You can outgrow a client, or find that certain types of work no longer fulfill you, and that’s okay! For example, if you’ve been doing a lot of blog writing and find it dragging, try switching over to some copywriting or even editing work. You may just find it to be a nice change of pace from your typical workload. Another way to diversify is to expand your niche work. You can always change your niche, explore new avenues within your current niche, or look to take a new perspective. Changing things up can help you avoid becoming stagnant and keeps things interesting. As with any job, self-care and stress reduction are the keys to a healthy and happy body. Writers often find themselves glued to a screen for the majority of the day. You don’t need a medical degree to know how damaging a screen-based, sedentary life can be. Recent studies have shown that sitting for extended periods of time has been linked to organ damage, muscle degeneration, back problems and even certain types of cancer (just to name a few). Make it a point to not only include 150 minutes of physical activity into your week (the WHO recommended guideline for adults) but to also move around more throughout the day. By implementing simple stretching moves into your workday, you can help ease symptoms such as sore muscles, back pain, and brain fog. If you’re aiming for stress reduction in other ways, use some tried and true relaxation techniques. Go for a massage, indulge in a bubble bath, or dabble in aromatherapy (a few of my personal favorites). If you’re always rushing to finish projects right at the buzzer, you’re inherently going to be more stressed. Remember, more stress = faster burnout. Use an editorial calendar and daily schedule to stay on top of assignments to avoid working on projects last minute. Even the most enjoyable projects can seem like a chore if you’re down to the wire. Aim to complete assignments well before their due date, and you just might find yourself freed up to take on new hobbies, start passion projects and, heck, even go on a much-deserved vacation! Burnout can affect anyone and everyone. Take steps now to avoid it, and you could find yourself a much happier freelancer for it!